Jim’s thirteen-episode anthology series, The Jim Henson Hour, produced for NBC to air in 1989, gave him the opportunity to try out all the different ideas percolating in his (and his colleagues’) imagination. The first half of the show featured the Muppets (both old and new) behind the scenes of a television channel jumping between programming. This provided a place for Muppet Show style comedy bits and musical numbers, usually centering on a particular theme, and interaction with a guest star. The second half hour was wide open. Jim presented episodes of his Storyteller series, one-off programs produced previously for British television, and a range of new productions ranging from Miss Piggy’s Hollywood to the ecology-themed tale, Song of the Cloud Forest. 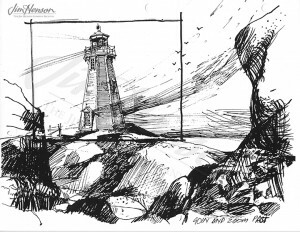 The show that Jim filmed in the charming Nova Scotia village of Peggy’s Cove, Lighthouse Island, fell into the last category. See a scene from The Jim Henson Hour episode “Lighthouse Island”. 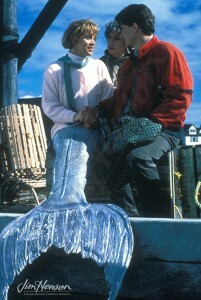 Filmed in Nova Scotia, it originally aired April 21, 1989. Production design from Lighthouse Island, 1988. 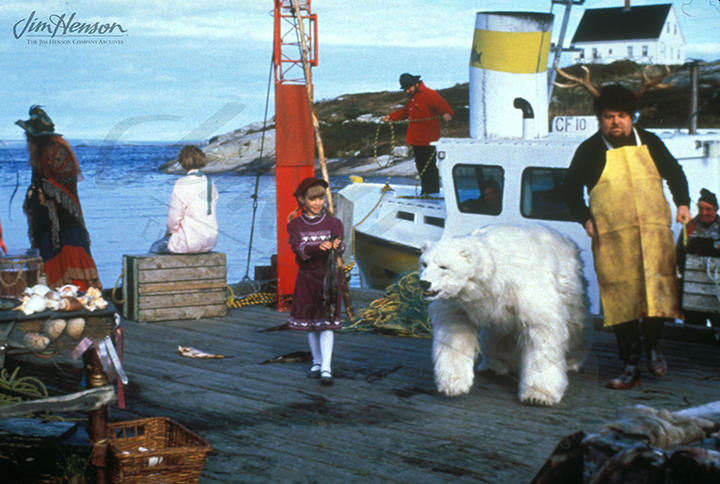 Some of the denizens of Lighthouse Island, 1988, including a polar bear played by Gordon Robertson. Rosalee (Carolyn Dunn), Clara (Helen Burns, in back) and Zeb (Chris Makepeace) from Lighthouse Island, 1988. This entry was posted in 10-October '88, 1988, Jim Henson Hour and tagged Jerry Juhl, John Ross, Lighthouse Island, Muppet Show, NBC, Nova Scotia, Robert Lawrence Productions, Song of The Cloud Forest, Storyteller, The Jim Henson Hour. Bookmark the permalink.